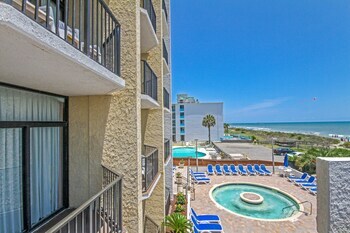 Great location right in front of the beach. Rooms are clean. Walking distance to everything. Love it will be definitely be back. I liked the attractions for the children. We didn't have to leave the hotel to keep them entertained. I did like the location and lay out of room The only thing I had any issue with was the cleaner used in the room seemed to have a strong funny odor. Very close to 2nd Ave Pier. And right on the boardwalk. Take a guided tour in the footsteps of patriots and pirates. Walk by majestic homes shrouded in moss-covered oak trees and mysterious pasts. 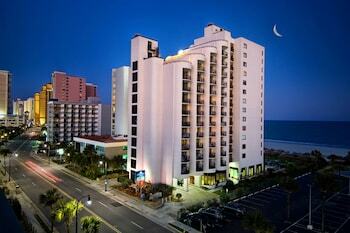 Stroll the Grand Strand's beachfront at night to see loggerhead sea turtles hatch on the shore. Put on your wetsuit and explore deep-sea dives, from Civil-War and World War II shipwrecks to custom excursions. Need more R&R? This family-friendly beach offers a quiet pier for crabbing, plus outdoor barbecue stands, a gazebo, swings, and play areas. Wet your whistle at this boutique winery in North Myrtle Beach. Enjoy tasting Southern flavors, from peach to blueberry, along with wines ranging from Cabernet Sauvignon to Pinot Grigio. Keep more cash in your wallet by letting Orbitz package your flights and hotels. 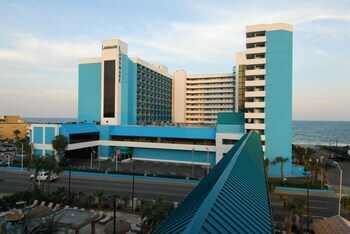 An amazing Myrtle Beach escape awaits! You can save up to $857* when you bundle your bookings. All you have to do is choose your preferred hotels, rental cars, airfares and experiences. With an extensive database of 500,000 hotels internationally and 500 airline partners, you'll have a wealth of options to choose from. There are countless options to suit you and your traveling style. All you need to do is pick your package deal and get ready for an amazing vacation! Who doesn't want easy rewards? Simply carry on booking with us and you'll receive Orbucks! We've designed a simple program that can reward you faster than anyone else. Redeem your Orbitz Rewards points on your very next booking. If you secure four nights in a full year, you'll become a gold member; 12 stays gives you platinum membership. Perks at Orbitz Rewards VIP Hotels are accessible to all platinum and gold customers. Setting off to somewhere new is an exhilarating experience, but your getaway can easily go awry if you're not properly prepared. 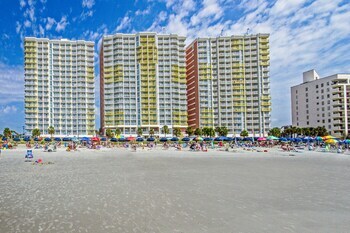 Why not begin by learning exactly where Myrtle Beach is? 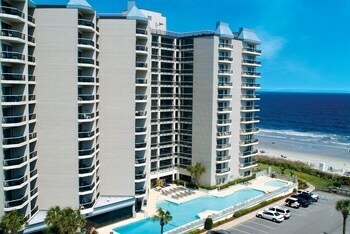 It's situated in Coastal South Carolina, 45 miles from Marion. 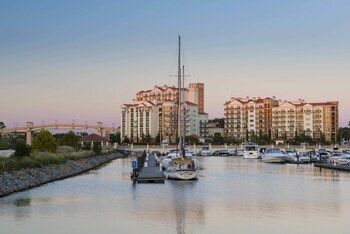 Some 27,000 people reside in this corner of Coastal South Carolina, so you'll have plenty of opportunities to make some new friends. You wouldn't want to go to Myrtle Beach without stopping by Broadway at the Beach. Check out the event schedule and get some culture at Palace Theater. It's home to a selection of theater productions catering to many tastes and interests. Want some more options? 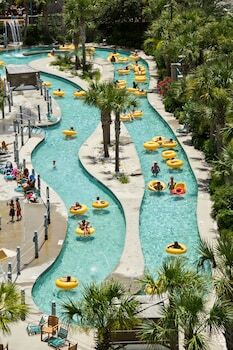 Bring your swimsuit and plan your next trip to Myrtle Waves, an entertaining destination for all ages. But that's not all! You're never too old for a theme park! The whole family will delight in the entertainment at Family Kingdom Amusement Park. Turn up the volume on your favorite driving tunes and explore Myrtle Beach from the freedom of your own ride. 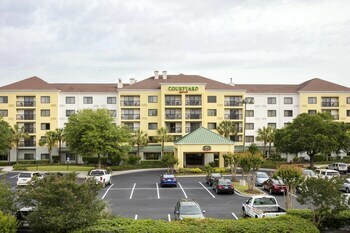 You'll find some of the best value car rentals in Myrtle Beach on Orbitz. Collect your keys after your plane touches down at Myrtle Beach Airport and forget about taking an expensive cab to your hotel. Stop by National Car Rental and Dollar Rent A Car. They are located just moments away. Thrifty Car Rental and Hertz are two other offices that provide a slightly alternative selection. Enterprise is located just 2 miles from the heart of town at 911 Jason Blvd. So if you want to hit the busy city streets, you know where to head. 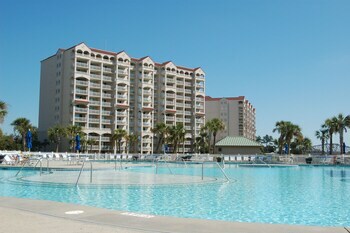 If they don't meet your needs, you can look into Budget at 1100 Coastal Grand Circle. This handy rental outlet is 2 miles from the center of town. Orbitz is here to help you choose the best place to sleep in this awesome destination. 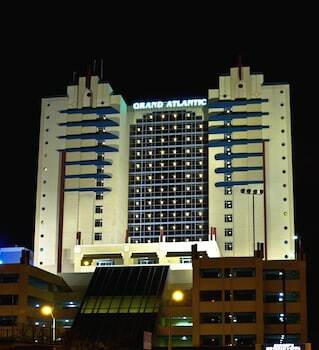 Right this moment, we have 183 hotels in Myrtle Beach. 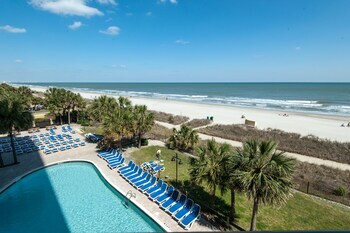 If something a little extravagant is what you're longing for, slip between the silky sheets at the Ocean 22 By Hilton Grand Vacations (2200 North Ocean Boulevard) or the Marriott's OceanWatch at Grande Dunes (8500 Costa Verde Dr). If you're planning to travel on a budget, we suggest the Tropical Seas Hotel (2807 South Ocean Boulevard) and the Cabana Shores Inn (5701 N. Ocean Blvd). 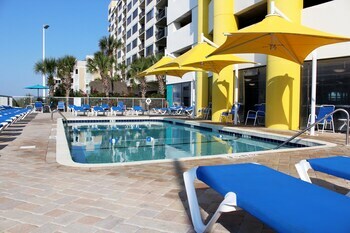 Thinking of flying to Myrtle Beach? If so, you'll probably want to learn a few details about the most convenient airport, Myrtle Beach Airport (MYR). It's positioned 3 miles to the west of the downtown area. Prepare to touch down and start exploring soon after! If you have a spare day and you're happy to travel 50 miles, visit Lake City. This nearby area has a world of things to see and do. If you want to spend a whole day in this area, visit Ronald E. McNair Life History Center first. Next head on over to the Bean Market and Lions Park. If this isn't your style, try Hamer. 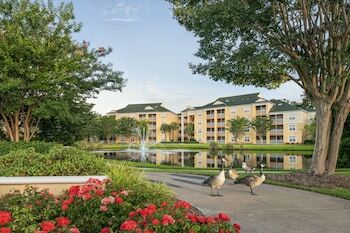 Just 60 miles away, this area features other notable attractions like the Dillon County Theater, the Twin Lakes Golf & Country Club and South of the Border. Spend the day here to get around to all of them. Updated your passport, booked your vacation but now can't go? Don't sweat it — we make canceling your plans a piece of cake by not asking you for a fee.^ Act quickly and your chosen hotel and airline might do the same!